Katie ’05 and John Rohrhoff with daughters Morgan, left, and Payton. During dinner on Valentine’s Day, 2015, John Rohrhoff suggested that he and his wife, Katie, do something special to honor their late daughter, Riley Katheryn, who died as an infant. That was three years ago today, and in that time, the Riley Katheryn Foundation has helped more than 50 families and provided more than $20,000 to parents grieving the loss of an infant. Last year, Katie Rohrhoff ’05 was honored for her work with the nonprofit when she was named a member of the 2017 Oakland County Executive’s Elite 40 Under 40 class. It’s a position no parent wants to be in, but one the Rohrhoffs had thrust upon them when, nine months after their wedding in 2008, the couple learned they were expecting twins. Ten weeks before her due date, Rohrhoff was rushed into an emergency cesarean section in an attempt to save her twin girls. One of the twins, Riley Katheryn, did not survive. Her identical sister, Payton, was sent to the pediatric intensive care unit. They didn’t know then that the sadness they felt would lead to a foundation that would help so many others. During that dinner on Valentine’s Day, Rohrhoff says her husband told her he wanted to help families who go through a loss like they did. The couple filed the nonprofit paperwork with the state, were quickly approved and set to work. The Riley Katheryn Foundation raises money to help Michigan families pay for the funeral and burial expenses for children who have not yet reached their first birthday. It also raises awareness of pregnancy loss and infant death and provides support to those who have been through it. The foundation raises money through its annual event, Picnic in the Park, as well as a beer- and wine-tasting event. Donations are also raised through other events held by families in memory of their children. 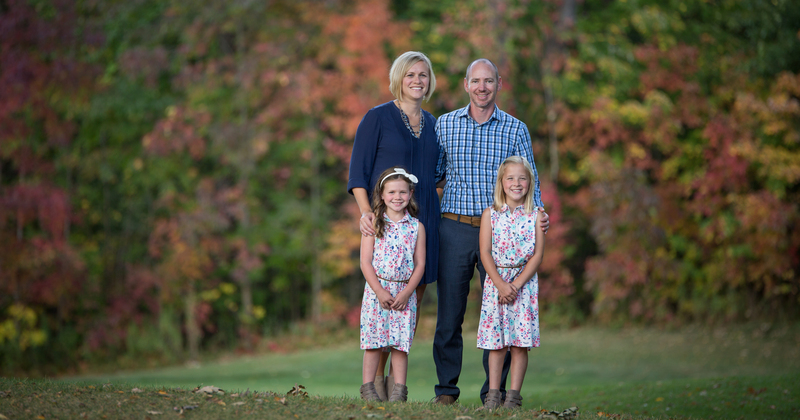 With the help of a local funeral director on their executive board and referrals from families and friends, the Rohrhoffs have connected with more than 50 families who have lost an infant. The families get more than just financial support, they also join a network of parents who have experienced a similar tragedy. In 2017, Rohrhoff learned she was nominated for the 40 Under 40 award for her work with the Riley Katheryn Foundation. In addition to the foundation, Rohrhoff is a pediatric nurse at Huron Valley Hospital, the same hospital where Riley passed away. “I guess I had no idea in the beginning how this would go,” she said. “I thought, ‘let’s just raise a couple thousand dollars and help a couple of people.’ Now, we’ve been able to help so many families with more than $20,000 worth of assistance,” said Rohrhoff. Through her work as a nurse, Rohrhoff has several ideas for expanding the Riley Katheryn Foundation. “We have set other goals besides just helping families. We’ve talked about education for hospital staff and education for the community in general,” Rohrhoff said. She said the possibilities are endless, and it’s humbling to see how far the foundation has come.